The Easter School Holidays will be here before you know it and with it, the challenge of keeping the kids occupied. 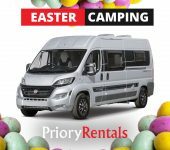 At Priory Rentals, we always have an influx of motorhome hire bookings as savvy parents choose to make the Easter Break a family adventure. This year, Easter Sunday falls on the 21st of April and for families, this usually means spending a whole fortnight together as the schools typically break a week either side, making Easter a perfect opportunity to take a family break just as the cold of the winter is all but gone and the first hints of Summer are starting to show. 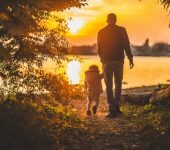 Families up and down the country are all facing the same dilemma – what to do during the school holidays this Easter, so what will you do while the kids are off school? For many of the full term and half-term holidays, there’s a little Regional variation in when the schools break up. 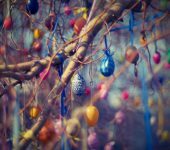 With the Easter Break, however, Easter’s the same date everywhere and for the most part, schools all break up a week before and remain closed until the end of the week after, meaning that pretty much all the schools are off at the same time. If you’re planning holidays anywhere during the Easter break, you’ll be competing with every other family planning the same thing, something which holiday companies are notorious for taking advantage of as an excuse to hike up their prices simply because they can. If you’re able to book anywhere at all, it’s likely to be packed when you get there. 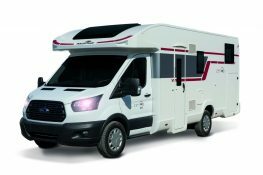 Taking a family motorhome adventure is a much more savvy option and allows you to cleverly get around the usual Easter Break bottlenecks entirely. 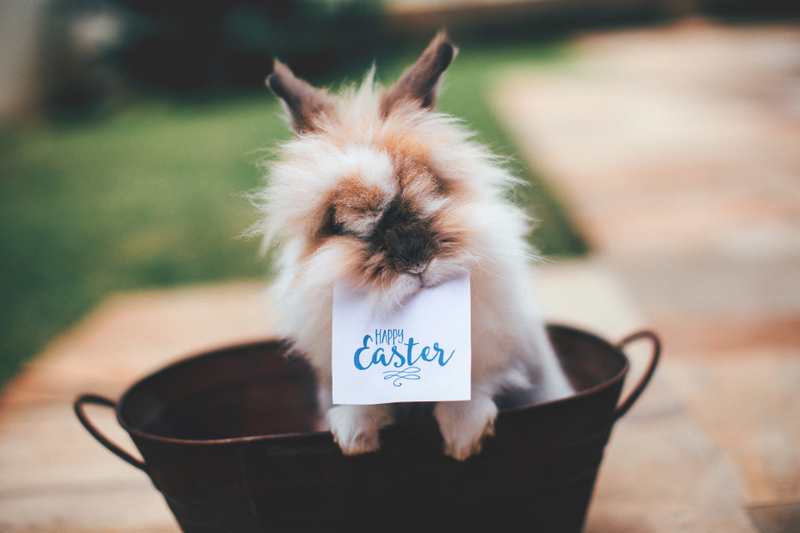 Unlike other holiday companies, our prices don’t rise and fall in order to profit from brief periods of demand and because Easter falls in April, we’re still only charging our mid-season prices. As well as a lower cost, taking your family on a motorhome holiday during the Easter break allows you to make every aspect of your adventure less stressful. Once you have your Priory motorhome, you only have to organise your kids to get from your front door to the end of your drive and the holiday begins. No taxi, no airport queues, no sitting for hours in a cramped car pinned down by luggage and certainly no panic as you briefly lose sight of them in all the crowded places you’ll have to pass through en route. Simply load them up, along with anything they need to keep them occupied for the trip and set off. Once you’re on the move, your options are wide open. If you want to visit the usual tourist hotspots, you can do that on your own terms, taking as long as you like to get there, stopping off at anywhere that looks interesting along the way. If your destination is a little too busy, you’re free to completely change your mind at a moment’s notice and head off somewhere else. Where can we go in a Motorhome this Easter Holiday? When you’re travelling in a Priory Motorhome, you can travel anywhere the road will take you, free to pick and choose your route and even your destination on a whim. Your holiday could involve travelling to a destination and staying there for the duration, or stringing together a serious of day trips, the choice is yours. There are lots of ideas for travel this Easter, the hardest part might be making your mind up! There are plenty of wonderful locations around the UK to visit, some likely to be popular, others more likely to be quiet and peaceful and with a luxury motorhome at your disposal, you’re free to travel to as many or as few as you please. With so much opportunity to make your holiday your own, the dreaded “Are we there yet?” is more likely to be replaced with “Where are we now?”, surely a far more welcome question. Motorhome travel is, after all, just as much about the journey as it is the destination. With Motorhome Hire, the holiday begins on departure not just on arrival. 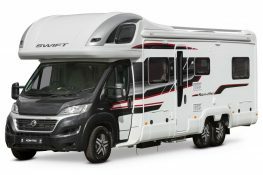 Easter, as you’d imagine, is a busy time for us, so contact us soon to arrange a luxury motorhome of your own and get ready to take your family on an Easter Break with a difference this April.